An attorney for Aftab Pureval admitted that a $16,427 check cut from a county campaign account was used to pay for polling related to both his Hamilton County Clerk of Court re-election campaign and his nationally watched Ohio First Congressional District race. Critics say the double-dipping may violate campaign spending laws. CINCINNATI -- An attorney for Aftab Pureval admitted that a $16,427 check cut from a county campaign account was used to pay for polling related to both his Hamilton County Clerk of Court re-election campaign and his nationally watched Ohio First Congressional District race. Critics say the double-dipping may violate campaign spending laws. 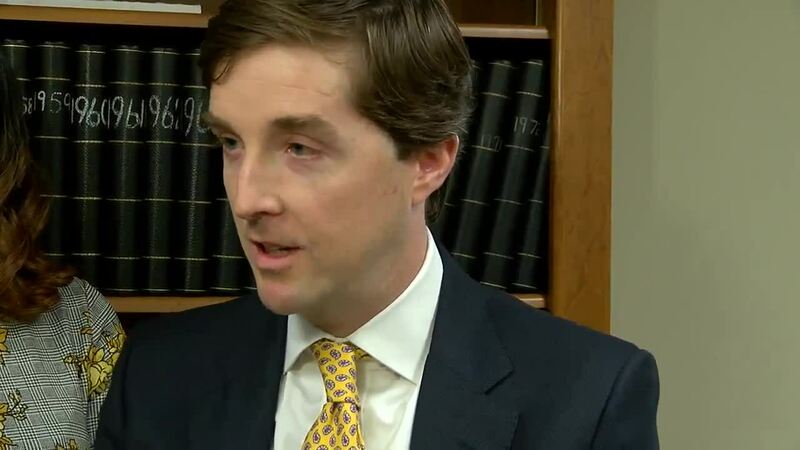 "Hamilton County covers the First District as well as obviously the Hamilton County Clerk of Courts, and the poll was used for both purposes," Pureval attorney Peter O'Shea told reporters Wednesday after a Hamilton County Board of Elections meeting. "It's for both races, there's just no question about that. It's for both races." His statement could impact Thursday's scheduled hearing before the Ohio Elections Commission, which may probe whether Pureval violated campaign finance laws. Attorney Brian Shrive filed a complaint with state election officials alleging that spending for photography, polling and travel were actually for Pureval's federal campaign and not permissible expenses for his clerk of courts re-election campaign. He also alleged donations from Pureval's mother skirted federal campaign finance laws. Pureval's campaign insists he did nothing wrong. "Republicans have politicized this process from the very beginning … they are desperately trying to politicize campaign finance reports which are accurate, complete and legal," campaign manager Sarah Topy said in a prepared statement. 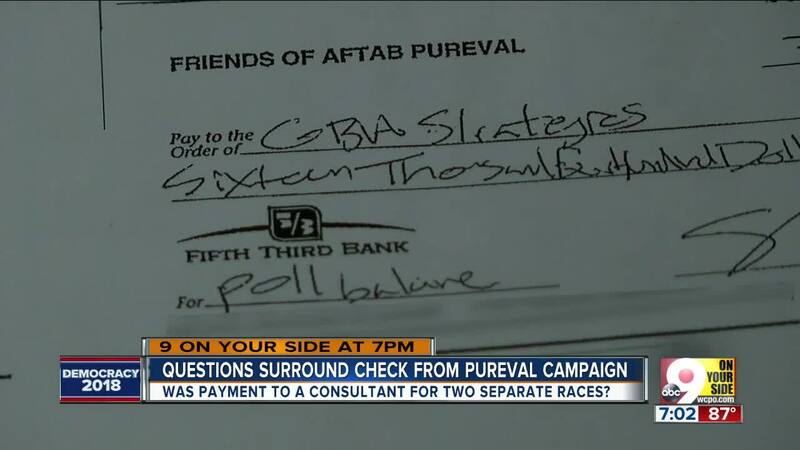 At the heart of the controversy is a $16,427 check paid by Pureval to political research firm GBA Strategies with "poll balance" in the memo line. Pureval is running against GOP incumbent Rep. Steve Chabot for a position in the House of Representatives, but this check was part of his 2018 Clerk of Courts campaign finance report filed in July. The memo line of that check was redacted, launching a controversy about who blacked out the information and why. It was the reason the Hamilton County Board of Elections called an emergency meeting on Wednesday. At the start of the meeting, the board's deputy director Sally Krisel admitted that she was the one who blacked out the memo lines and then failed to admit it. "I was afraid that if I spoke up I would embarrass the office because I did the redactions, instead of insisting that Sarah (Topy) make the redactions," Krisel said. Topy came to the elections office Aug. 1 to file additional documents for the 2018 semi-annual report. "She indicated that the committee wanted to redact the memo line on four check copies," Krisel said. After Krisel ensured that the purpose for each check was noted elsewhere in the campaign filing as law requires, she redacted the memo lines, including the words "poll balance" on the check to GBA Strategies. "I used the marker that I had in hand to redact the four lines as a courtesy to Sarah Topy," Krisel said. "It would have been better to hand the marker to Sarah to redact the four memo lines." Shrive argued that Krisel should be fired. "How can we trust anything that comes out of this election commission so long as this woman, Sally Krisel, is allowed to stick her thumb on scale for Democrats?" Shrive said. "It's outrageous. There needs to be a full investigation. People will need to be fired, and lose their jobs over this." Elections board member Tim Burke said he was troubled by the length of time it took Krisel to admit she had redacted the checks. But he declined to fire her. "There will be a serious penalty," said Burke, who is the former Hamilton County Democratic Party leader. "Sally was wrong in how this was handled." Since Krisel is a Democrat, Burke and fellow Democratic board member Caleb Faux will decide her punishment. Elections board member Alex Triantafilou, who is the county GOP leader, said Krisel's actions could come up during Thursday's state elections commission meeting. "I would not like to see any member of this board involved in trying to hide the fact that Mr. Pureval was using his county funds in a race for federal office," Triantafilou said. "It looks like a member of this board assisted Mr. Pureval in blanking out that memo line that maybe would have indicated that he was using that state funds for his federal campaign." After Wednesday's meeting, officials from Pureval's campaign showed copies of the un-redacted checks to reporters, and attorney O'Shea spoke briefly. "Frankly, I haven't seen the poll but what I can tell you is that polling can be done for both races," O'Shea said. "There is no law that prohibits running for two offices at the same time, and that's exactly what's happening. Aftab is running for federal office and for re-election." "Is that poll for the federal race?" a reporter asked. "It's for both races," O'Shea said.